View Tameson’s selection of blanking plates to close of unused ports on your manifold. 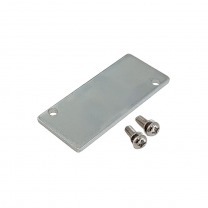 A blanking plate ensures that air does not leak out through unused ports on a manifold and are easily secured into place on top of the manifold. They are either brand specific or adhere to ISO 5599 or ISO 15407 standards.